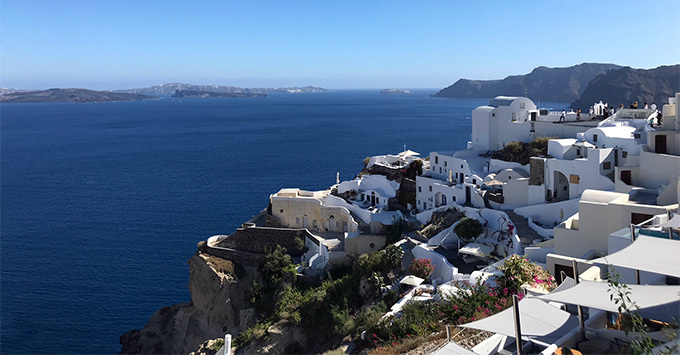 (2:05 p.m. EDT) -- Turkey is back on the map for cruising -- with smaller lines like Celestyal Cruises and Windstar Cruises already visiting, and bigger ships scheduled to return next year. Cruise lines axed Turkey ports from their itineraries in 2016, due to unrest brought on by a failed military coup. Since then, the U.S. has eased travel warnings to the country, while Turkish media reports the government will not extend its State of Emergency, which expires on July 18, roughly two years after it was first declared. So, what's it actually like in Turkey right now, and what can cruisers expect? 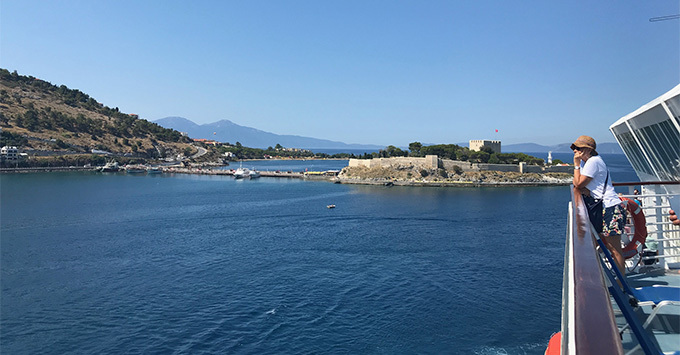 We've just returned from Kusadasi, the last stop on our seven-night Greek Isles cruise aboard Celestyal Crystal. The picturesque port is best known as a stepping stone to the ancient Greek city of Ephesus. It also happens to be the most popular Turkish port on itineraries next year. Here are three things to know if you're considering booking a cruise that includes a stop in Turkey. 1. Turkey feels totally safe. Kusadasi felt just like any other port on our primarily Greek Isles itinerary. 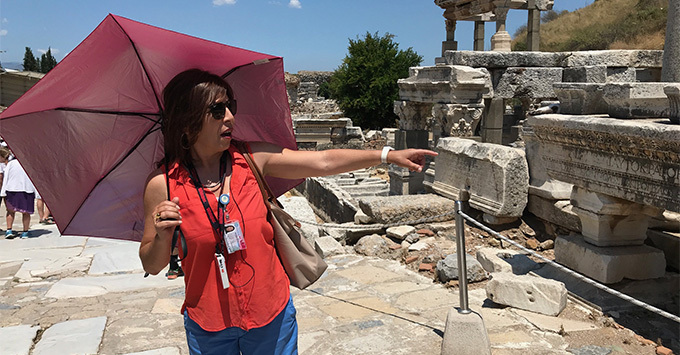 Throughout the city -- and even more offbeat villages like Sirince, where we enjoyed lunch after a tour of Ephesus -- it was warm and welcoming, and the energy from locals grateful to see tourism back on the rise is infectious. 2. There are a handful of itinerary options. All of Celestyal Crystal's weeklong Greek Isles cruises feature a stop in Kusadasi, plus a complimentary tour of Ephesus (one of the three shore excursions included in the cruise fare; you also can purchase an add-on tour that visits a separate section of Ephesus called Terrace Houses 2). But Celestyal and the small-ship lines aren't the only ones back in Turkey. Royal Caribbean, Oceania Cruises, Regent Seven Seas Cruises and a handful of others are now selling cruises that include stops in Kusadasi. Some of them also plan to visit Istanbul and Bodrum, depending on the itinerary. 3. Istanbul's cruise port is getting a makeover. While other ports in Turkey are ready for cruisers, Istanbul -- the country's most popular port of call -- is already gearing up for next year's returning visitors. The city is building an expanded cruise terminal, which our tour guide told us is expected to open in late 2019. Few details have been released about the design of the new Galataport facility, but we do know it will be able to accommodate larger cruise ships. The neighborhood in which the port is located, Karakoy, also has been developed in recent years. Wedged between the Bosphorus and Istanbul's Old Town, Karakoy is now considered one of the city's hippest areas, filled with eclectic cafes, bars and shops, and narrow streets draped with string lights. 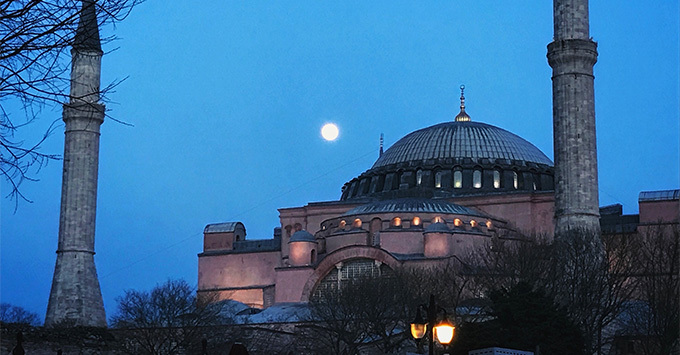 It also offers easy access to landmark attractions like the Bosphorus Bridge, Hagia Sophia and Grand Bazaar.